The Meiji Shrine in Tokyo occupies a level of heightened significance in Japanese society. From its tranquil gardens to its manicured stone paths, Meiji Jingu (adjacent to Yoyogi Park) transports visitors out of the dense and dizzying skyscrapers of Tokyo's CBD, and into the quiet world of Shintoism. Apart from the massive Torii gates (they're Shinto icons) that mark the entrance and exit of Meiji Shrine, another symbol that encapsulates the park's magnificence comes in the form of the many Japanese sake barrels that can be found throughout its grounds. Called Sakedaru or Kazaridaru, these barrels are often stacked 6 rows high, which tower above the visitors that throng the temple's grounds. For the uninitiated, Japanese Sake is a rice wine that considered as one of the national drinks of Japan. One question that visitors always ask is: Are these barrels actually filled with sake? Sadly, no. Or rather, while they may contain a little bit of 'representative sake', the amount of this doesn't come close to the 72L these barrels can hold. What about the patterns and illustrations on those barrels? Well, they mainly represent the name and location of that particular sake brewer as Meiji Shrine receives annual contributions of sake from producers across the country. This is done because producers want their sake to receive blessings from the shrine, and also wish to proudly display their sake and brand within the shrine's grounds. These barrels are usually beautifully designed, which sets the standard for the types of sake bottles you can find at the supermarket. The art of producing sake goes back millennia and is considered to have begun back when Nara was still the capital of Japan. Back then, brewing sake was strictly under the preserve of the government until shrines were allowed to so for ceremonial reasons. Since the Meiji Restoration, improvements in technology and changes to legislation saw the proliferation of sake breweries across the country leading to spike in the popularity of the alcohol. The government was happy to see this happening as it meant that its coffers grew as a result of new Japanese sake production taxes. That being said, while brewing sake is big business, the practice has been on the decline since WW2 when home brewing was outlawed due to a rice shortage. Despite being Japan's most symbolic drink, it is also quickly being supplanted by the likes of whisky, craft beer and gin. 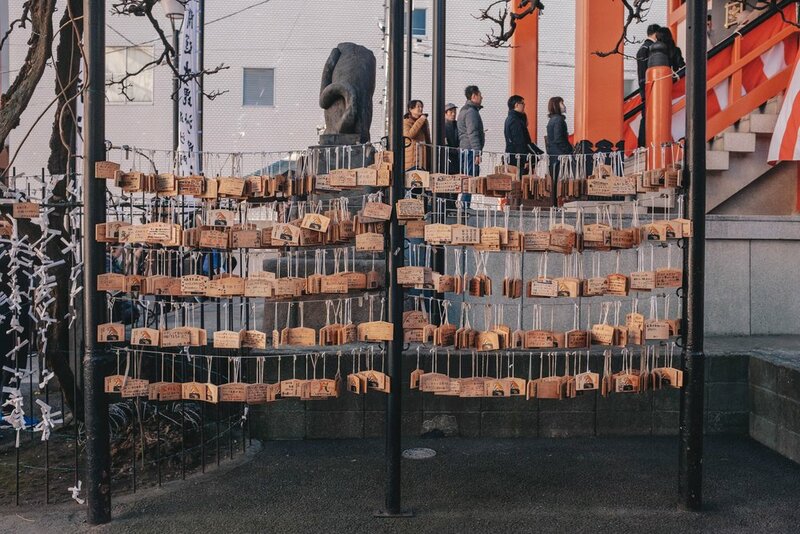 Furthermore, the traditional practice of each shrine producing its own sake has faded, and now, as little as 4 shrines across the whole country posses the ability to do so. Culturally, drinking sake is of immense importance to Japanese society particularly during special occasions like the New Year. It is also customary for Japanese weddings to include a huge barrel of sake 'on tap'. During the New Year, many Japanese attempt the Hatsumode which is an annual pilgrimage to temples and shrines throughout Tokyo (or whatever city they come from). This is done to pay respects to shrine deities and to receive blessings for the New Year. Upon arrival at each shrine, visitors may also sample a bit of sake. This is because consuming sake itself is considered a symbolic act of communion with the Gods. Older Japanese texts even refer to the drink as miki (or 神酒), which can be literally translated as God's wine. Some people even drink it for old time's sake. Japanese cultural traditions also call for the breaking of the barrel's lid during those aforementioned occasions in order to wish for prosperity in health, marriage, and business. It is thus unsurprising to find out that there are many informal Japanese customs when it comes to drinking alcohol, from a hierarchy that determines who pours drinks for whom to using alcohol as a means to conclude business deals. Hence, it might seem that the act of drinking sake could perhaps be why the Japanese have such a strong drinking culture, which is one that permeates throughout all levels of society. Apart from sampling sake, visitors also inscribe their hopes for the future onto Ema tablets, which directly enables the Gods to 'hear and read' the wishes of mortals. This follows as a practical and modern version of what people used to do, which was to donate literal horses to shrines. In modern times, Ema tablets now encompass many different shapes and sizes; and many contain beautiful illustrations on them. After the message is inscribed, the tablets are then hung onto special shelves within the shrine. Many describe Japanese society as one that is steeped in culture and tradition. Hence, it seems apt that the Japanese still hold on to traditional practices like drinking sake to such a high regard. It is also unsurprising to find out that Meiji Shrine in its current form and beauty was constructed using goodwill funds from people across the country, regardless of social class. From this, its clear that supporting society as a whole is huge for the Japanese. The reason for this effort? 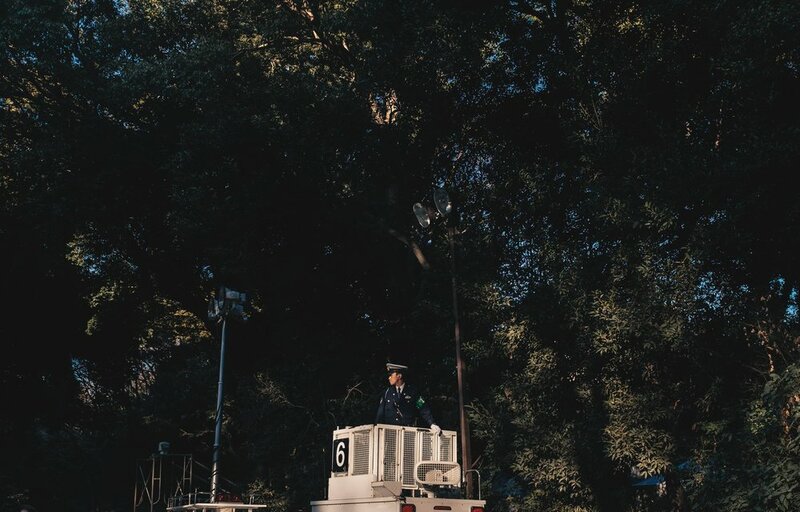 Everything in Meiji-Jingu from the Shrine's structures to its trees around it were razed to the ground from the Allied bombing raids over Tokyo during World War 2. Apart from the Japanese proclivity for excellence, we think that it is this overwhelming sense of unity and purpose that endears foreigners so much to Japan and its people. And it is for this reason that we will always find the country fascinating. If you'd like to experience the refreshing tranquility of Japanese shrines, we suggest that you start your pilgrimage at Meiji Shrine. Getting there is easy - just get off at the park's namesake station, Meiji Jingumae and make your way through its lush forest grounds. Like what you're reading? Follow us on Facebook to keep up with all of our latest articles on travel!